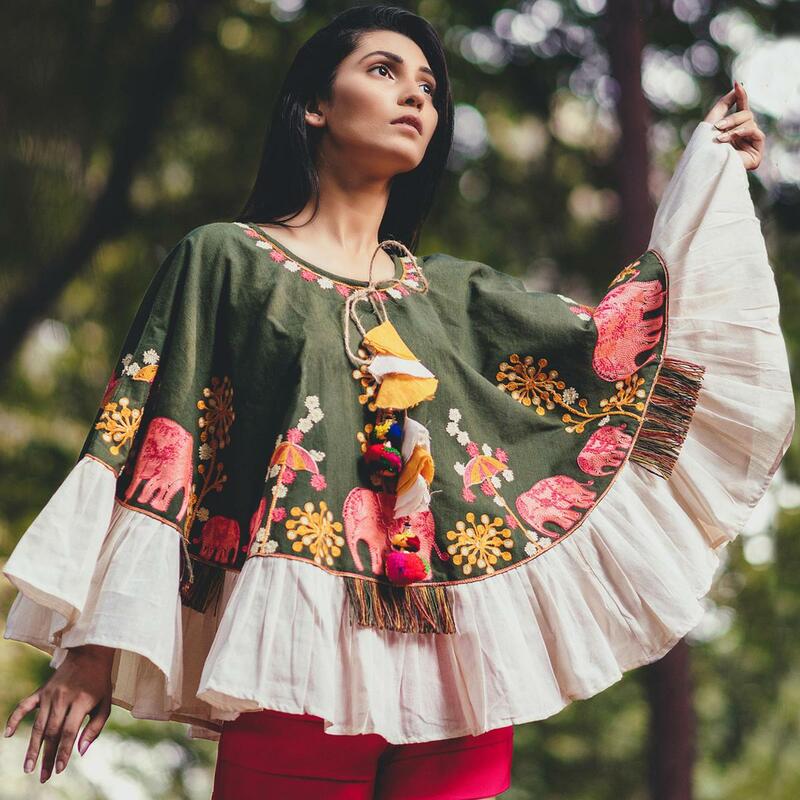 Look trendy and smart by wearing this olive green colored poncho top. 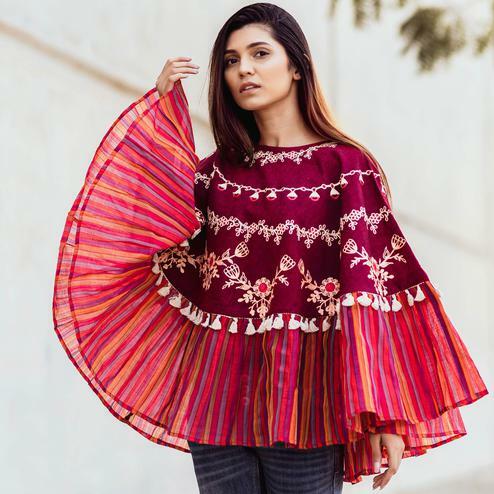 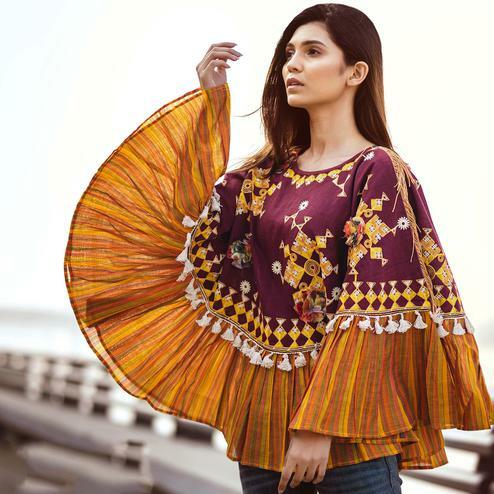 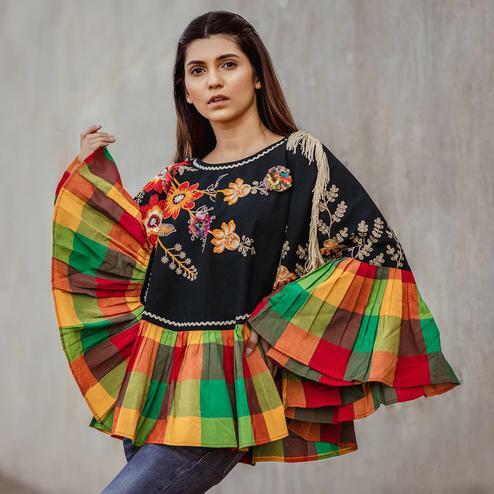 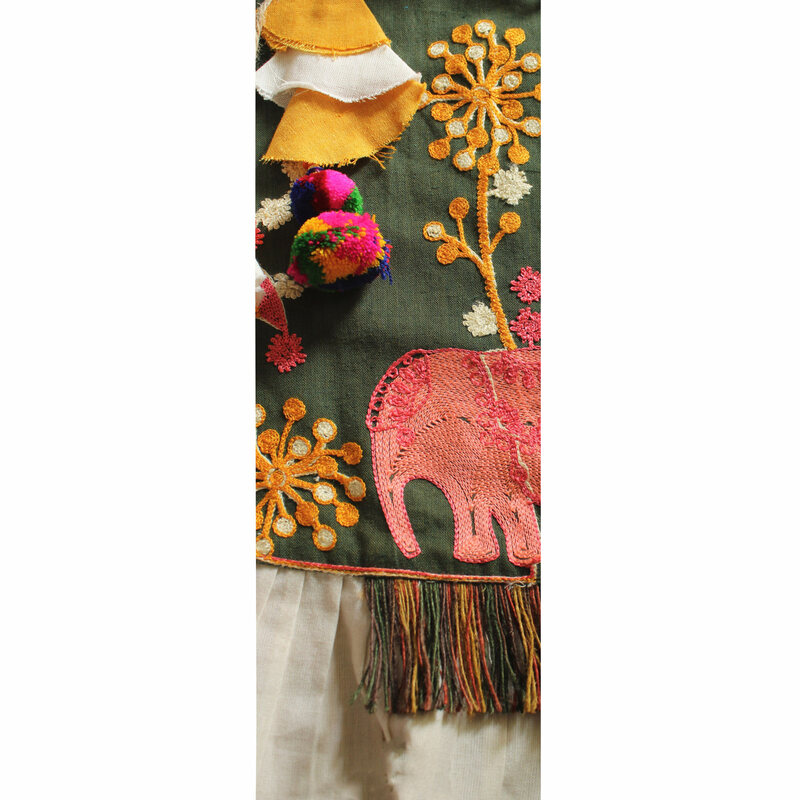 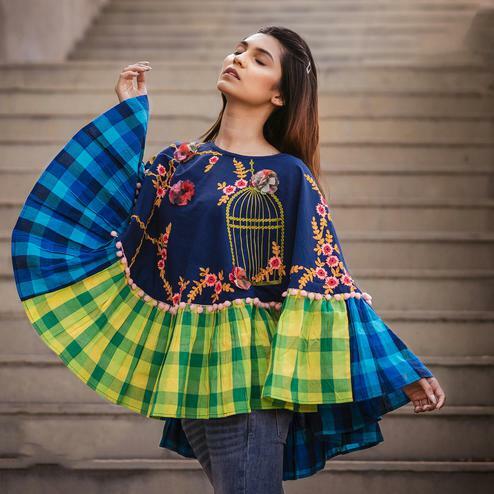 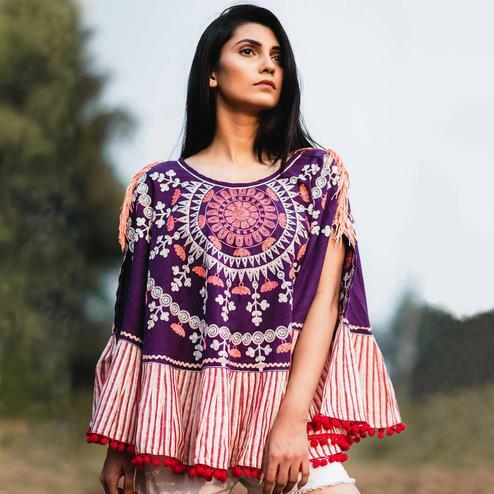 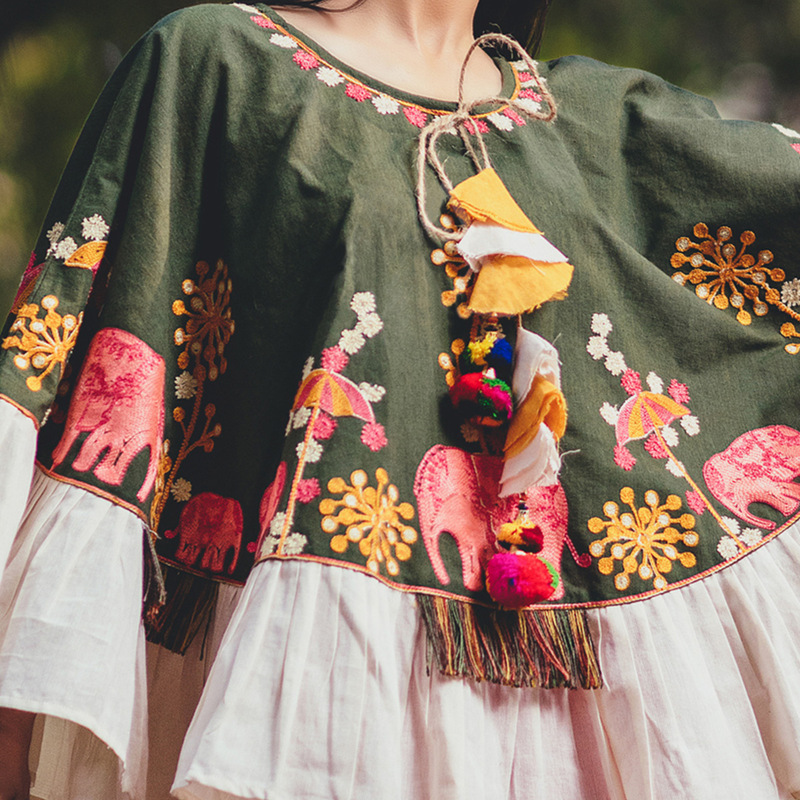 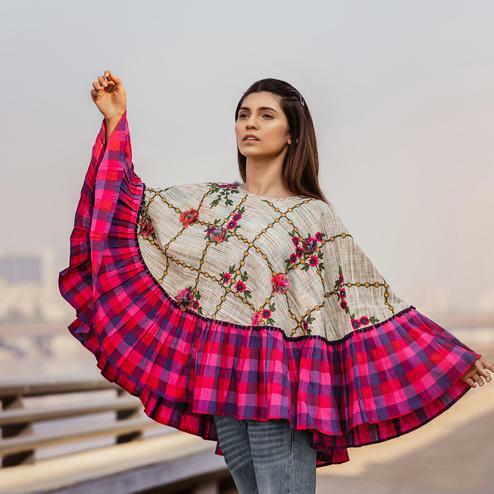 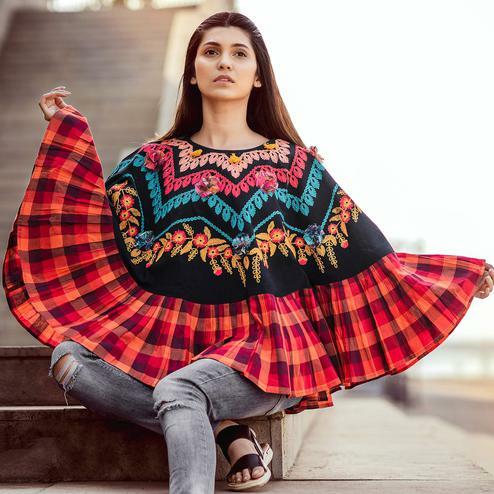 This top designed cute elephant embroidered poncho of olive green khadi cotton fabric embellished with jute tassel lace and multi pom hangings with conical caps. 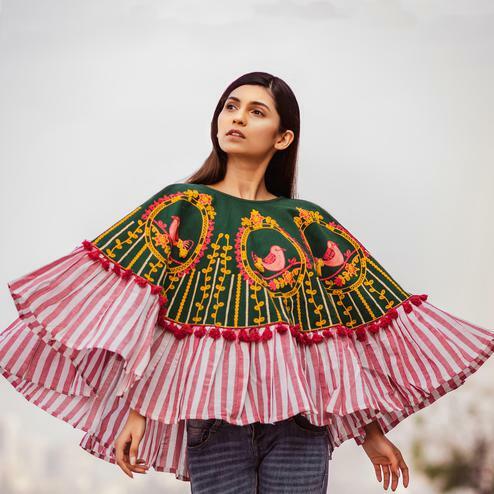 Attached with off white frill all over the poncho. 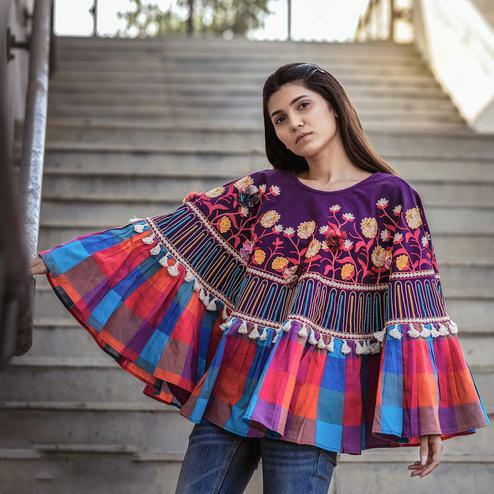 This top is perfect for everyone who loves comfortable tops for everyday wear.You can wear this with any bottom of your choice. 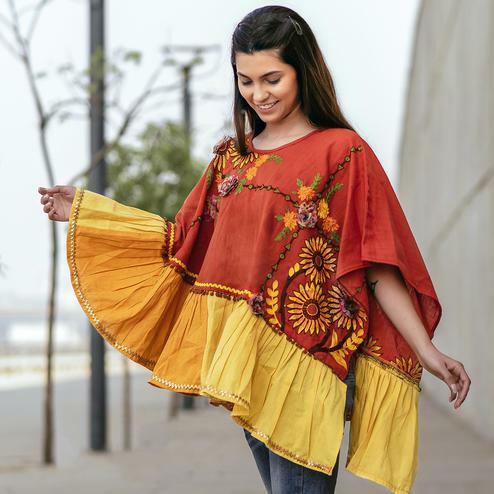 You can wear this at casual work days,parties,shopping outings,friendly meetings.Pair this with favourite accessory of your choice and you will look stunning.